EuroMillions is always one of the most popular European jackpots around, and to celebrate this monster lottery we're looking back at the biggest ever EuroMillions winners. 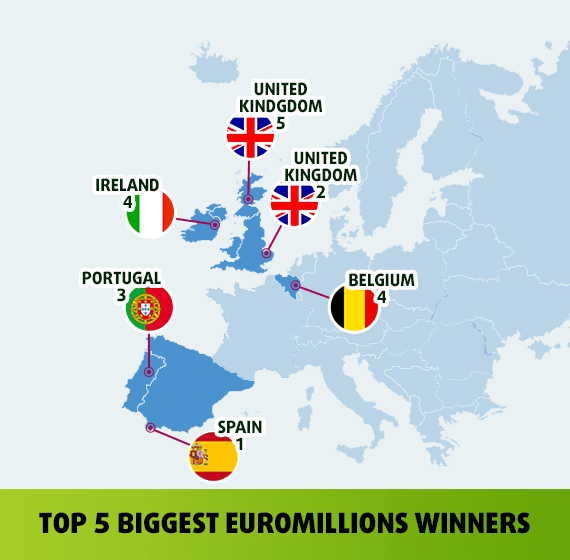 We’ve compiled a list of the top 5 record-breaking EuroMillions jackpot winners showing how much they won plus a map so you can see who won, where they come from, how much they won and also learn what they have done with their winnings. Europe's most popular lottery, without a shadow of a doubt, is EuroMillions. (It's also the most popular lottery with our friends on Facebook.) In terms of jackpot size it also ecclipses its closest rival EuroJackpot, Europe's other big multi-national lottery, by a considerable measure. As of 2012 the EuroMillions jackpot size has been capped at €190 million though as the lottery continues to thrive further increases to that amount in future cannot be ruled out. For now, however, the highest amount won in EuroMillions is €190 million - an amount which has been won not once but twice since the jackpot cap of 2012. 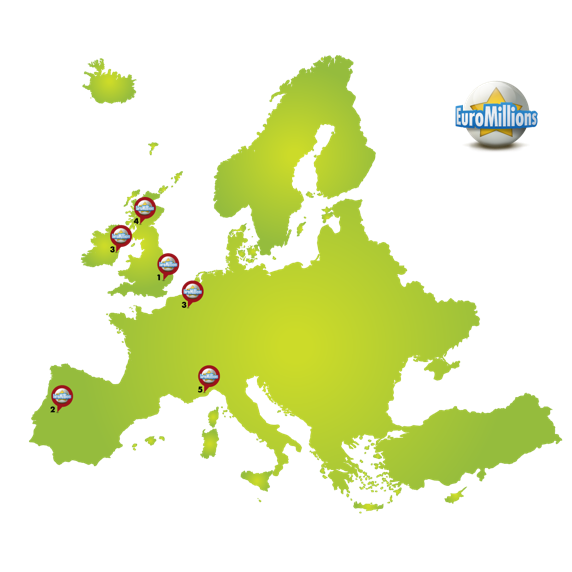 In the map below you'll see where the top five EuroMillions jackpots were won, followed by leaderboard table and winner profiles. EuroMillions’ fourth largest jackpot was split by two winners, one from Limburg in Belgium and one from Dublin, Ireland, earning each of the lucky anonymous winners €93.9 million. It was Viva Espana in October 2017, as the maximum jackpot prize was paid out to a Spanish winner. 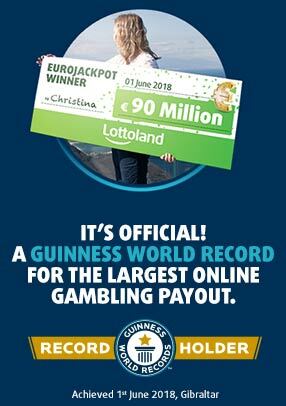 After rolling over six times, the jackpot was finally claimed by an anonymous winner who bought their ticket on the popular holiday island of Gran Canaria. With over 3 million tourists descending on the island every year, it is not known whether the lucky winner was a local or a foreign visitor. Either way, the 6th of October 2017 is a date that fortunate ticket-holder is not likely to forget in a hurry. Spain has had a lot of success when it comes to EuroMillions jackpot wins, and this latest one is the pick of the bunch. 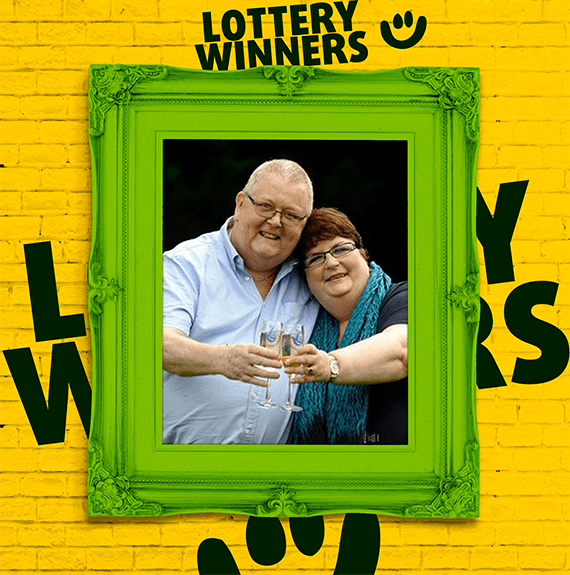 As well as being one of the original founders of the lottery the UK also enjoys the distinction of being home to two of the top EuroMillions jackpot winners, including Adrian and Gillian Bayford, the biggest EuroMillions winners so far. Since UK lottery winnings are tax free the Bayfords, from Haverhill, Suffolk, hold the current record jackpot, the maximum amount winnable since the jackpot was capped at €190 million in 2012. After their win the couple opted for low-key celebrations but the general public, and the media in particular, weren’t having it. Despite the dream win Adrian wanted to keep his old dream alive, the music store he’d started from scratch and built up over the years. Keeping the store open proved to be a nuisance, however, as he was tormented by people walking in off the street begging him for handouts. While images of the couple celebrating their wins became ubiquitous throughout all the major British news publications, behind closed doors all was not peachy. The couple admitted that their marriage was in difficulty prior to the win and the pressure of adjusting to their newfound wealth only exacerbated the situation. Being the centre of constant media attention probably didn’t help either. The Bayfords have since split and now live separate lives. Adrian has since returned to work, having opened a brand new record shop, Black Barn Records, in Cambridge, specialising in rare records and pop culture memorabilia. On the 24th of October 2014 a lucky anonymous winner scooped another massive €190 million jackpot which had rolled over six times following a recent Superdraw. The player hailed from Castelo Branco in central Portugal, near the Spanish border. With sluggish growth and latest figures putting the unemployment rate at 13.4%, Portugal is one of the worst hit countries by the Eurozone crisis. This lucky winner, however, need never worry about financial woes ever again, though he/she probably isn’t too delighted about the taxman taking 20% of the win which would have otherwise left the winner tied for first with the Bayfords. 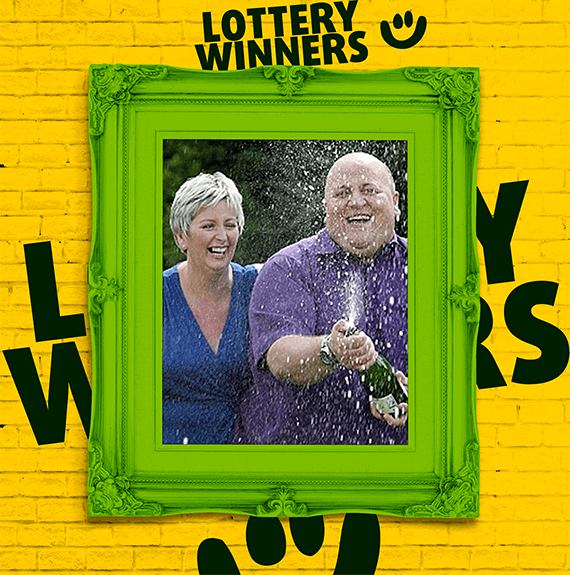 Colin and Chris Weir’s €185 million jackpot win broke the record back in 2011. Although the Bayfords are the biggest EuroMillions winners overall, the declining value in the Euro between 2011 and 2012 meant that, in terms of pounds Sterling, the Weirs remain the UK’s biggest EuroMillions winners with £161,653,000, compared to the Bayford’s £148,656,000. While the record win turned the Scottish couple into overnight celebrities, it was the manner with which they spent and invested their newfound wealth that would garner the biggest headlines. More recently the couple have purchased a huge stately mansion worth £3.5 million. Apparently it took them only a few minutes to decide they wanted to buy it. At number five we have an anonymous winner from France, the largest French winner so far and, following his win, he became the 221st richest man in France overall. The man has been described as a family man and a self-taught man of culture who wished to spend "several million Euros" to set up a charitable foundation for community projects throughout France. The money he set aside for himself he apparently invested carefully, buying a modest house as well as investing on the stock exchange. 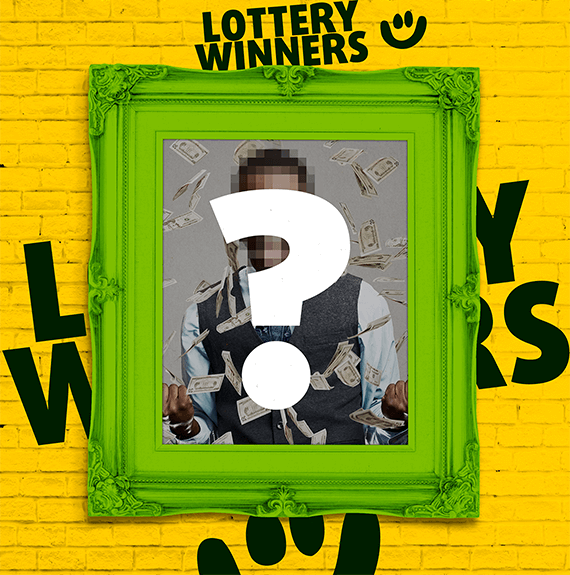 Although he opted to remain anonymous, as the majority of continental winners do, he also pressed the French lottery operators, Française des Jeux (or FDJ), to at least release the name of the tobacco store where he bought the winning ticket but they refused. So the following year he allegedly contacted his local paper in Nice to discuss the matter. According to the newspaper the man is a sixty-something Nice resident called Jacques who, on learning of his win, kept a solid vigil on his ticket terrified he might loose it or that the “dog would play with it”. Famous and anonymous – sounds like a contradiction in terms, right? Yet even anonymous winners have been known to make headlines. Often the sheer scale of the win is big news in and of itself. Other times it’s what these lucky winners do with their winnings that catches the public eye. One memorable example was the anonymous French winner who, having won €72 million, gave the majority of it – a whopping €50 million – away to charity. The man, who we’re told is in his 50s, gave the money away to various charities working for the betterment of people with disabilities on condition that the charities informed him precisely as to how the money would be spent. Of all of Europe’s biggest jackpot winners, both in EuroMillions and EuroJackpot, the majority have opted to remain anonymous. Considering the fate of the Bayfords, harried by strangers looking for handouts and shadowed by the press all throughout their much-publicised breakup, they probably wished they had avoided all the media attention and remained anonymous also. And it’s not just the privacy winners need to worry about either. There are also security concerns, as former EuroMillions record-holder Dolores McNamara learned the hard way back in 2013. 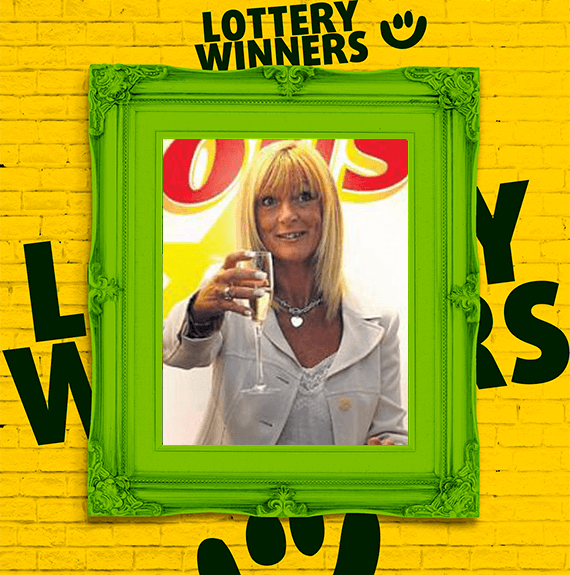 Dolores McNamara remains Ireland’s biggest ever EuroMillions winner having won a massive €115 million back in 2005. Apparently the former cleaning lady from Garryowen, Limerick had to be goaded into buying the winning ticket. Having learned of her win she promptly disappeared as reporters from all over Europe tried desperately to track her down. Doleres' decision not to remain anonymous made her an instant celebrity, not just in Ireland but right across Europe. After her win the former Irish cleaning lady splurged on a massive sprawling mansion on the shores of Lough Derg. In more recent times she has become known for her various investments in retail property. Dolores remained the biggest ever individual EuroMillions winner for five years until an anonymous Spanish lady won €126 million, aged just 25.